I’m still working my way up to considering The Basement Tapes. For a moment yesterday, listening to it in the background as I did some fairly routine correspondence at work, I felt like I got it. For a moment I was there at Big Pink and I was hearing The Band and I was understanding what it was that they were trying to accomplish. And then someone came into my office to talk to me, and it was gone. I wasn’t able to get it back today. Thinking about The Basement Tapes – and I’m listening to A Tree With Roots, which is about five hours of tapes, not the album that Columbia released to battle the bootleggers – it is tough to maintain focus. This thing is literally ten times longer than John Wesley Harding, and I’m not even sure I could totally take in that album in just a week. This isn’t one long session – it’s months of material, sort of haphazardly thrown together. It isn’t curated, as the earliest bootlegs were, and that is a large part of the problem. What is strange for me is that I can remember a time in my life when I really, really wanted something like A Tree With Roots. It was around the time that the fuller recordings began to circulate on bootlegs – the mid-1980s. 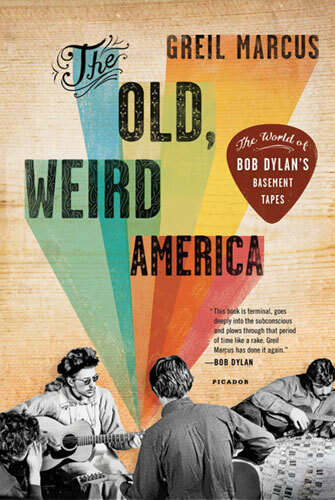 I’m not sure if I had seen a copy, or just knew it existed (I’m not sure how I would have known – I didn’t have any friends who were more knowledgeable Dylan fans than I was, and I wasn’t very knowledgeable. I’m not sure I had a single friend who actually liked Dylan, actually). I can remember talking about it with one of my high school English teachers with such vivid detail that I find it bizarre, particularly because I’m not even sure what we might have studied in that class. But I remember talking about The Basement Tapes as I was headed out to my lunch break or to another class. At my high school, in Burlington, Ontario (a suburb outside of Toronto), there were five English teachers, and three of them were Dylan fans (actually, the other two might well have been as well, but I just don’t remember them ever talking about it). One was an aging hippie in whose classes we read anti-war plays from the 1960s that made very little sense to us in the age of Reagan. He was a great, wild-eyed teacher that kept us engaged. I remember that he liked The Talking Heads, but no other music that was contemporary to our generation. Another was also an aging hippie, though now completely buttoned down. There were rumours that back in the day he’d smoked up with his students, but it was always a story from way back. 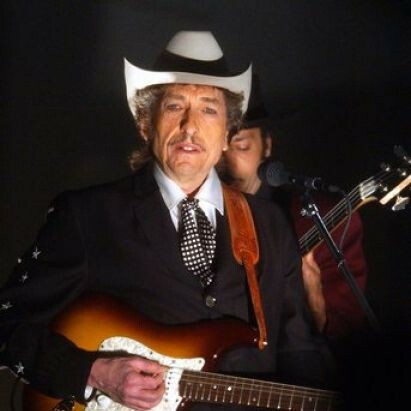 He was the huge Dylan fan – he would quote him in poetry classes frequently, and I can still remember the day that I beat him in a debate using Bob Dylan lyrics. For an afternoon I was a legged at Aldershot High. The teacher that I’m thinking of now, however, was Ms Tessler, who taught me in Grade Ten and one class in Grade Twelve. I remember we read Margaret Atwood’s The Edible Women, and MacBeth, probably not in the same class. I remember no other readings from her classes, but I do remember that she had done her MA at McGill University (on Robertson Davies? maybe Mordecai Richler?) and that she was a fan of Dylan, and that she talked one day about going to see Leonard Cohen perform in Toronto the night before, and that none of us cared. For some reason I have a very clear memory that her favourite Bob Dylan song was “Stuck Inside of Mobile With the Memphis Blues Again”, and I can remember telling her that I was interested to hear The Basement Tapes and she told me that there were copies around. I think she meant the Columbia album, which I found in a used record store soon after. Looking back, it’s no wonder none of my friends liked Dylan. It wasn’t Empire Burlesque that was the problem, it was that the whole high school staff thought he was great. I’m surprised that Mr. Creighton’s admiration of David Byrne (he showed us a videotape of Stop Making Sense once – for what possible reason?) didn’t ruin The Talking Heads for us either. Face it, it is impossible to like the bands that your high school English teacher likes. But that was my earliest memory of The Basement Tapes. I never liked the album that much (“Stuck Inside of Memphis” is only okay too). Tonight I read the first third of Greil Marcus’s The Old, Weird America (originally published as Invisible Republic). He tries to lay a groundwork for loving The Basement Tapes, but he hasn’t sold me yet. I’ll give them another try tomorrow for Ms Tessler, who, with luck, is still out there teaching high school, trying to get the kids to listen to Leonard Cohen.